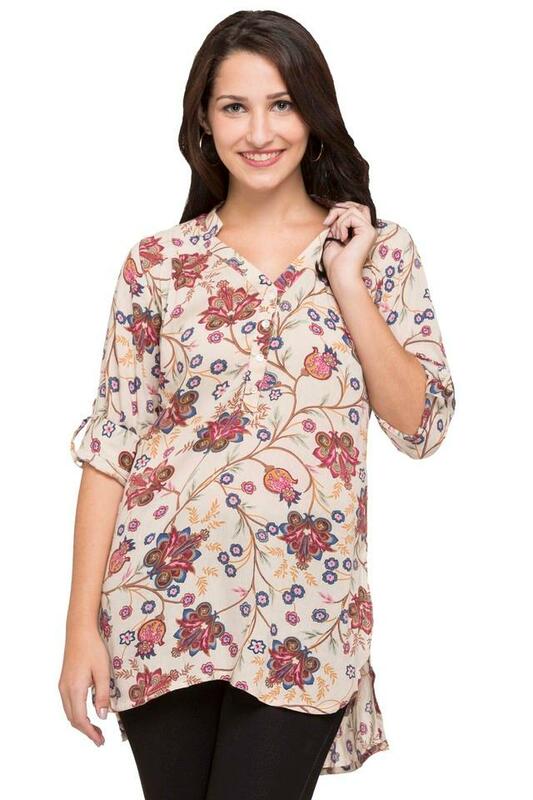 The popular brand, Sanaa has brought this kurta, which is crafted to perfection for all fashion forward women. 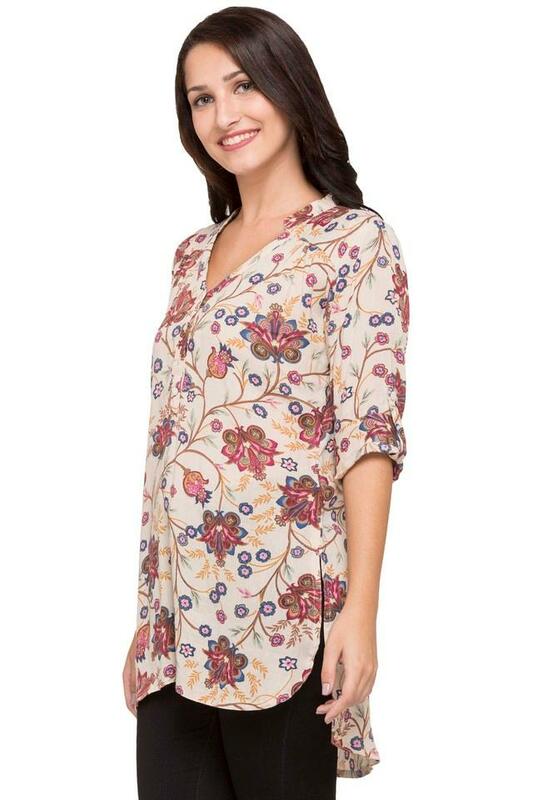 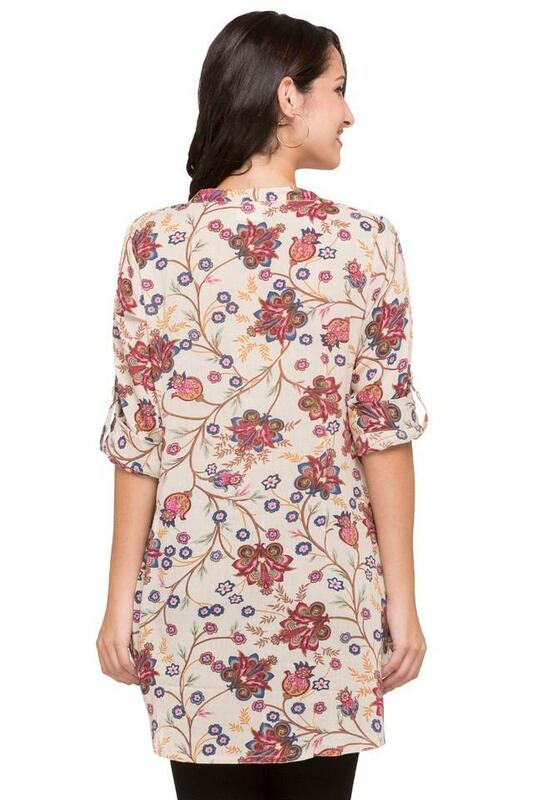 It comes with a mandarin neck, roll up sleeves and printed pattern it will make you look appealing. 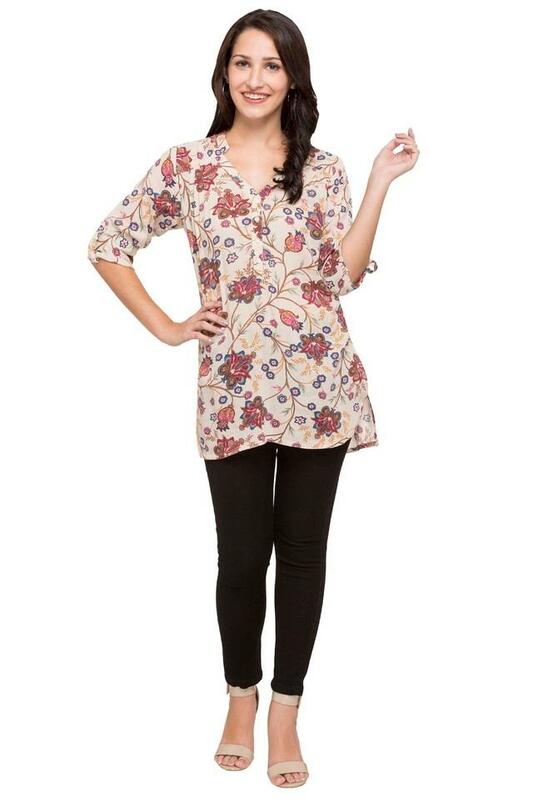 Embrace ethnicity in this beautifully designed kurta. Team it up with a leggings along with sandals.